Posted December 5, 2014 . 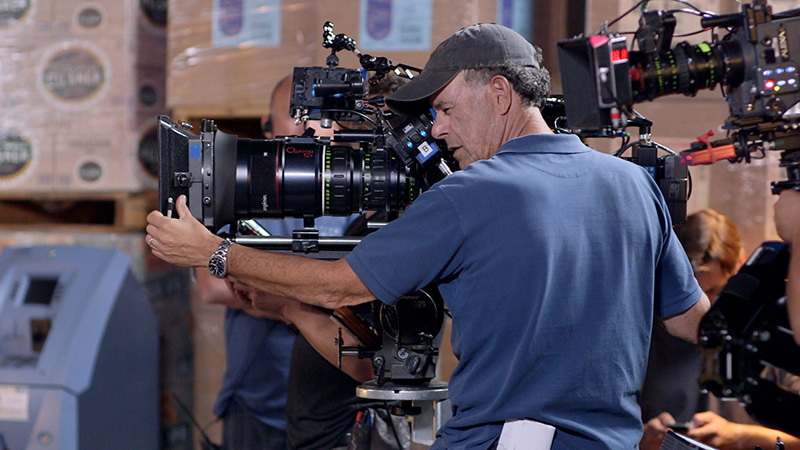 LOS ANGELES (December 1, 2014) – As the acclaimed FX series Sons of Anarchy nears its finale, director of photography Paul Maibaum, ASC continues to rely on solutions from Anton/Bauer, Litepanels, and OConnor during the production’s stage and location shoots in Southern California. The DP and his crew have trusted the gear to perform throughout all seven seasons of this hit show. Maibaum has been the show’s director of photography since the second episode of the first season. Created by Kurt Sutter, Sons of Anarchy explores the lives of members of an outlaw motorcycle club in California’s Central Valley. The drama has been the highest-rated series in the history of FX. 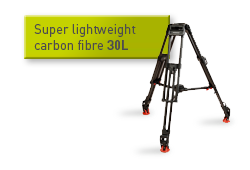 Maibaum is a long-time user of OConnor fluid heads and Litepanels LED lighting fixtures. “I cannot remember a project that I have worked on where there weren’t at least two OConnor heads, going back to the days of the OConnor 100, and I have used Litepanels’ Ringlite Minis, MiniPlus and 1×1 LED panels almost since they first came on the market,” he notes. 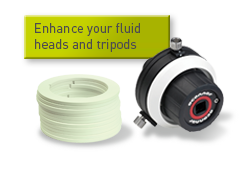 OConnor 2575 fluid heads, the flagship of OConnor’s Ultimate range of fluid heads, have been part of Maibaum’s camera package since the outset of production. 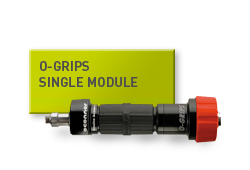 “It is the fluid head of choice for every operator who has been on the show,” he reports, citing the variable counterbalance and drag as the fluid head’s most outstanding features. 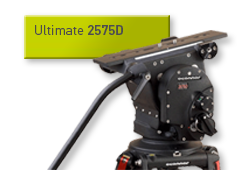 Litepanels fixtures are prominent on the show with Ringlite Minis and the MiniPlus – popularly called “bricks” – as well as 1x1s playing key roles in the lighting package. 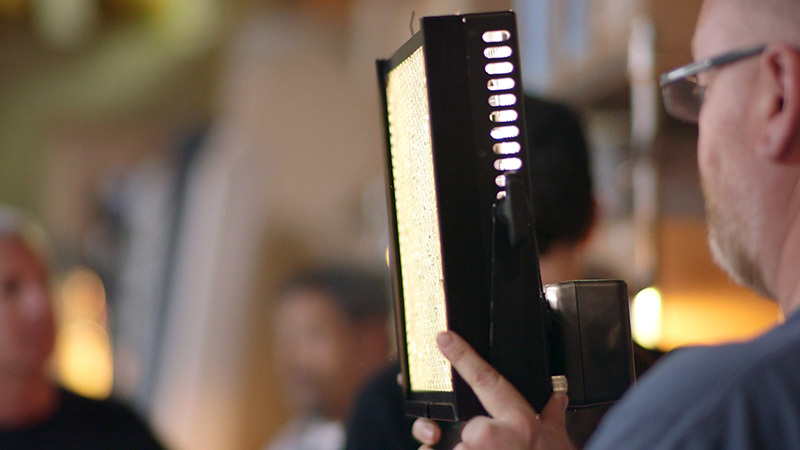 Litepanel MiniPlus bricks are often used for eye light. “In scenes where lighting is sketchy, I’ll tell the team to add a ‘ping’ – or place a ‘brick’ to brighten the eyes,” says Maibaum. Anton/Bauer batteries fill many mobile power needs for Maibaum’s crew. 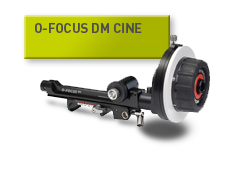 They use the award-winning CINE VCLX as the main camera battery for the ALEXAs and F55s when on dollies or cranes. 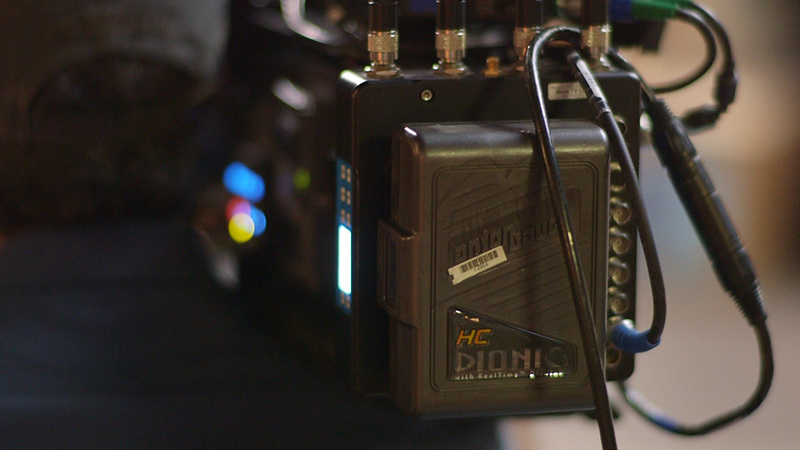 The DIONIC® HC and HCX batteries act as a power supply for the handheld cameras and Litepanels 1x1s, and also power the wireless video assist. “What I like about Anton/Bauer batteries is that they charge quickly, don’t lose their charge, and the digital readout tells me how much power is left all the time. 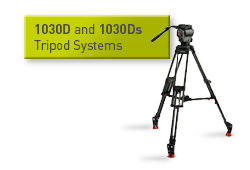 They’re also lightweight and attach on and off quickly to the camera or light,” Maibaum points out. 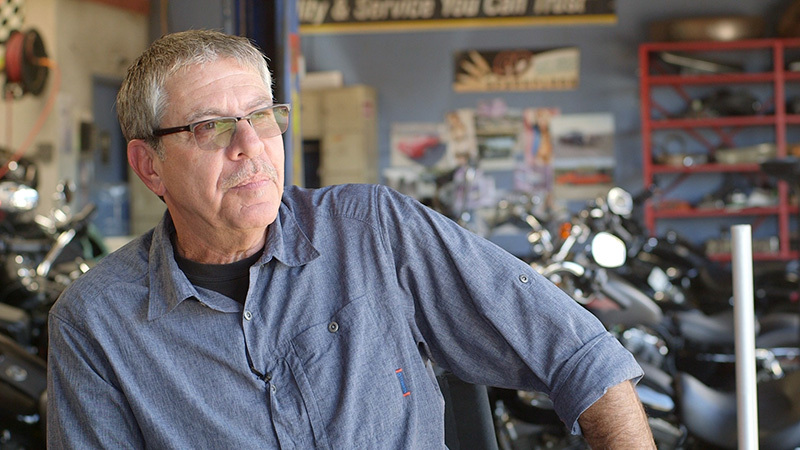 “I don’t believe we would be able to complete our day’s work within the time allotted if we did not have the complement of Vitec equipment that we employ on virtually every set up on an average shooting day on Sons of Anarchy,” Maibaum concludes.